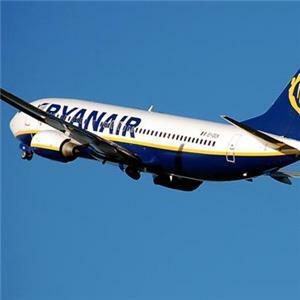 The low-cost airline Ryanair has been the main cause of the passenger increase experienced at Malaga airport so far this year, by focusing almost the entire increase of travelers who passed through this airport facility during the first five months of 2011. Specifically, the Irish company carried between January and May a total of 980,181 passengers to and from Malaga airport, 471,427 more than the same period last year, representing a 92% growth. The weight of this low-cost airline is such that after inaugurating in June 2010 its base of operations in Malaga, 21.6% of travelers to this airport are transported by this company. In fact, Ryanair in 2010 became the first airline at Malaga airport and managed to surpass Easyjet as the first company in this airfield. That growth also coincided with the commissioning in March last year of the new passenger terminal, the T3, which enabled companies like Ryanair to launch new routes from the capital of the Costa del Sol.